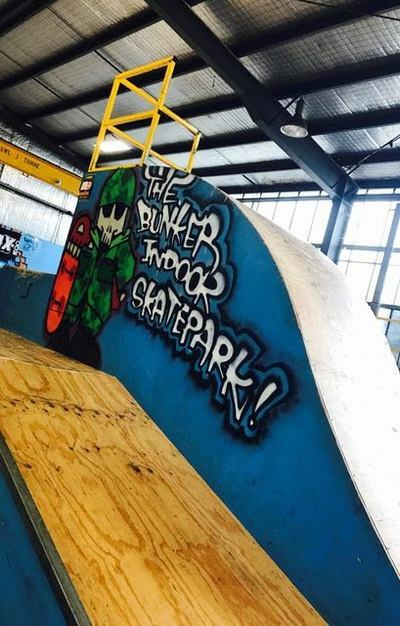 Bunkers is (in my humble opinion) Melbourne’s best indoor skateboard park! They pride themselves in their layout and design which has been created by skaters for skaters. 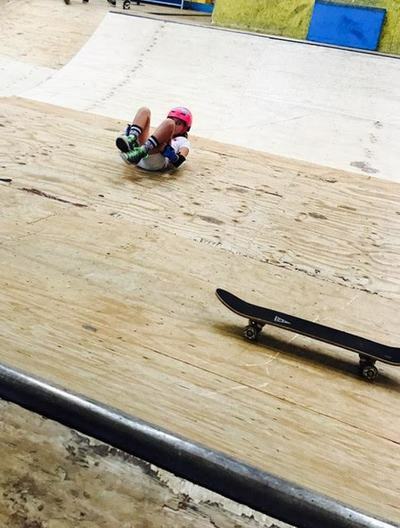 Whether your kids are into skateboards, scooters or even BMX riding, this is the place for them. The ramps range from fairly easy going to super dooper pro style. As always my children went for the biggest and most terrifying ramps, leaving me a frantic mess on the side-lines, but they absolutely had a ball and there was no need to call for the first aid box! Phew. Bunkers do birthday parties, lessons, Australian Scooter Association events and even have their own team who you can keep track of on Instagram. 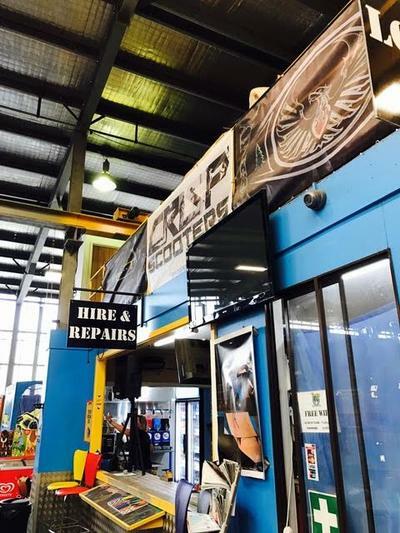 They have a great café (lovely coffee), a retail shop, and if you happen to need repairs, or equipment hire they have that covered too. There’s lots going on at Bunkers, so head over to the website to see what events are coming up, and how your kids can join in all the fun. Bunkers is suitable for all ages; even the dads were having a go today. 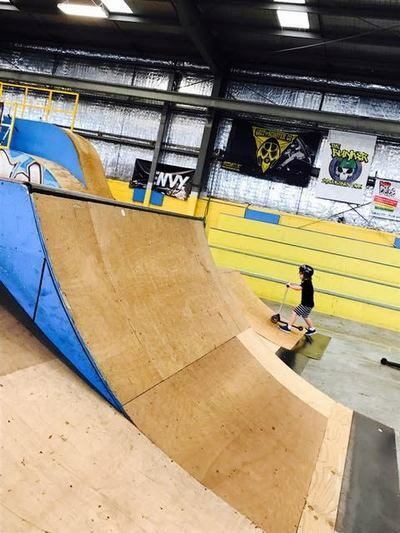 So if you think you’re cool enough to hit the ramps, fly through the sky and land in the foam pit, then get your scooter, helmet and possibly some pads and head down to Bunker Indoor Skatepark. Honestly, you won’t regret it! Thanks Leanne and the team for a great morning, and here’s to a peaceful afternoon with two puffed out kids. Opening Hours: Check Bunker Indoor Skate Park's wesbite because opening times will change shortly.